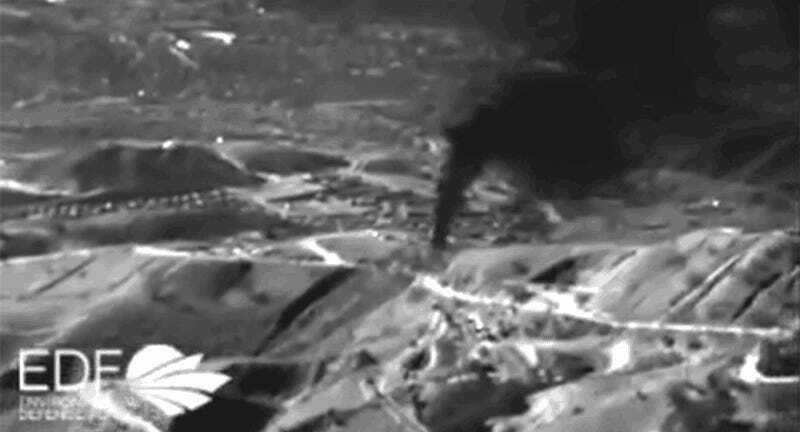 The gas leak hemorrhaging methane all over the LA suburbs has been temporarily plugged, Southern California Gas Company announced today. It’s an important milestone, but residents aren’t celebrating just yet. If all continues to go well, the leak could be permanently sealed within a few more days. As we reported earlier this week, SoCalGas has entered the final phase of an 8,500-foot drilling operation aimed at plugging the leaky natural gas storage well near Porter Ranch, which has created an environmental disaster comparable in scale to the BP oil spill. Workers are now pumping in “heavy fluids to temporarily control the flow of gas out of the leaking well,” the LA Times reports. The final step will be filling the well with cement. Once the cement dries, state regulators will conduct a site visit to officially confirm that the leak has ended. After that, temporarily displaced residents will have an eight-day window to move back to their homes—just in case there are any unforeseen hitches. We aren’t out of the woods yet. But by this time next week, with a little luck, this three-month nightmare will be over.